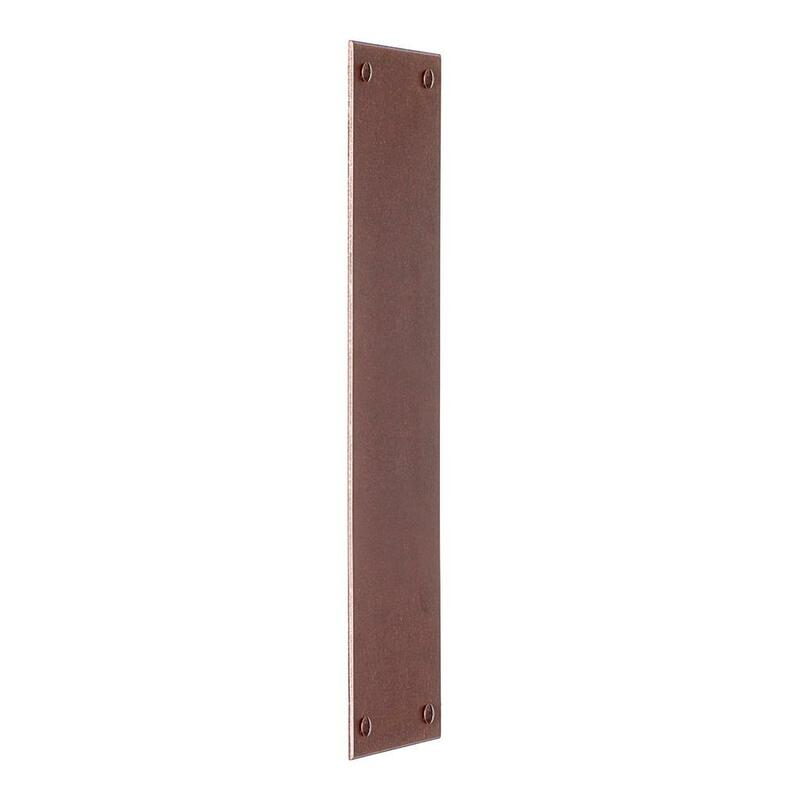 A simple but stylish rectangular finger plate with bevelled edges from our range of copper door furniture. Our Standard Finger Plate will provide the perfect finish to your door as all our copper pieces have a quality and finesse that can only be achieved when they are handmade by the best craftsmen so that even the simplest item looks a cut above the rest. 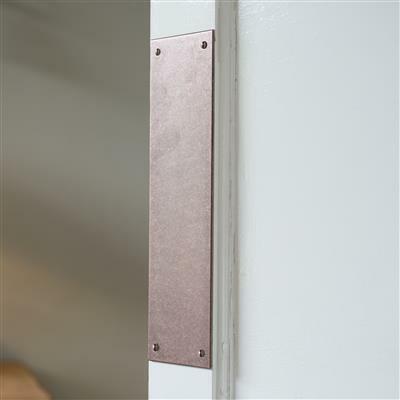 Our heritage copper finish is created by treating each solid copper piece with an antiquing solution to accelerate the natural tarnishing process. This produces a beautifully soft, deep copper colour that looks wonderful as part of a contemporary or tradtional scheme and is suitable for use indoors and out. 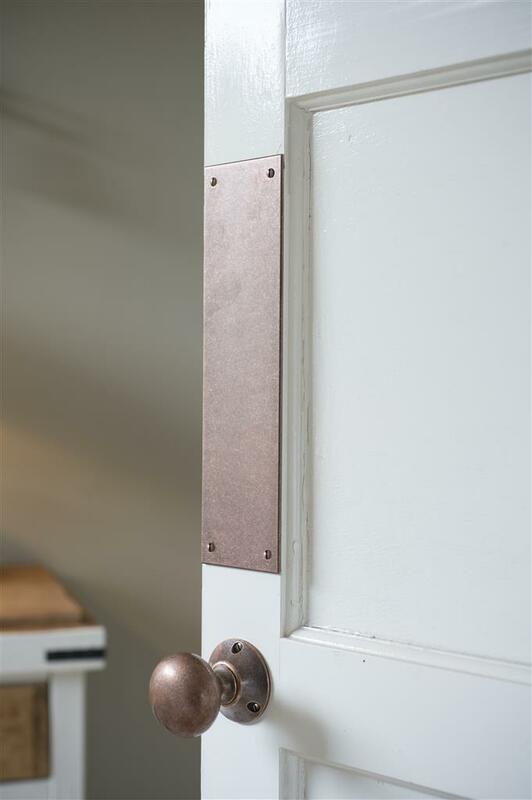 Kindly note, copper will naturally darken over time so should you wish to lighten it, you will need to buff it occasionally with a small amount of brass cleaner to return it to its original hue. 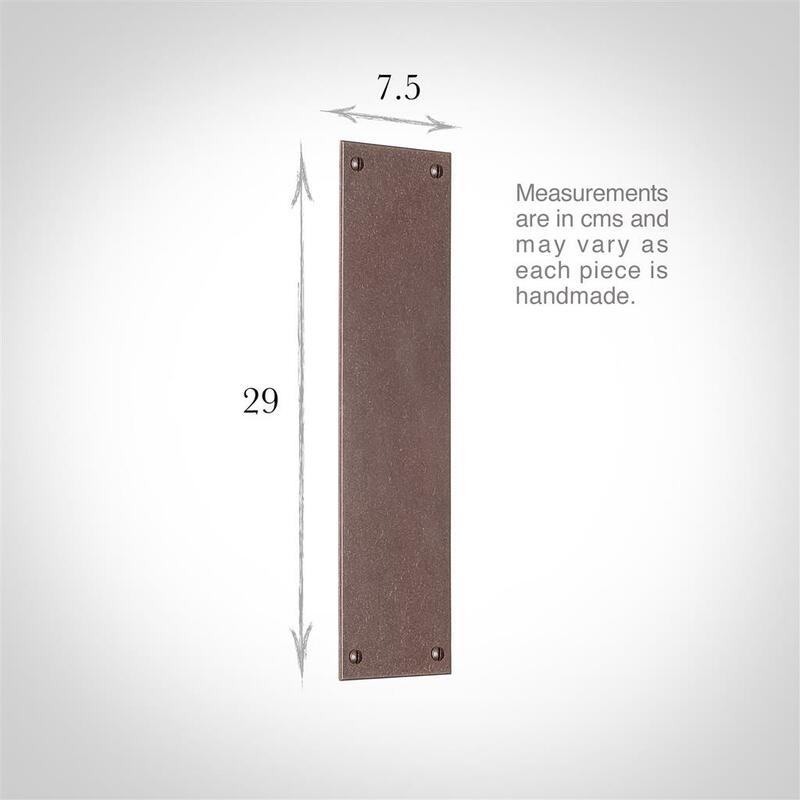 The Standard Finger Plate is 29cm high x 7.5cm wide and is available in antique and polished brass aand a matt black forged iron version.